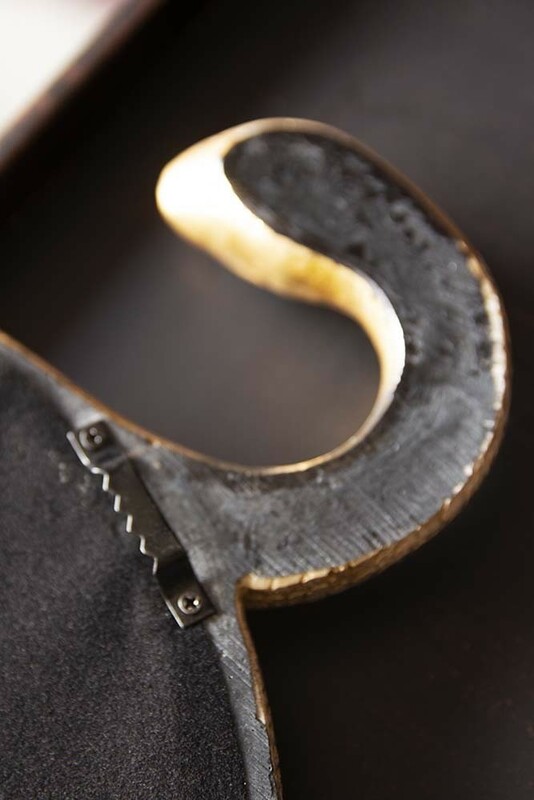 Often it’s the little things that make a big difference in your home, introducing the unique touches and quirky character that sets your interior apart. 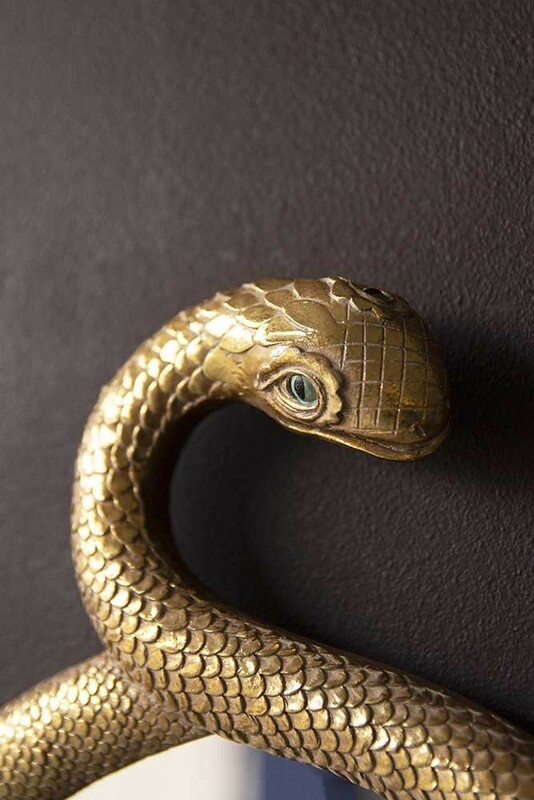 Celebrating a daring twist on tradition, our Gold Snake Wall Mirror features a classic round mirror, framed by a stunning gold serpent and measures 26cm x 24cm x 3cm. 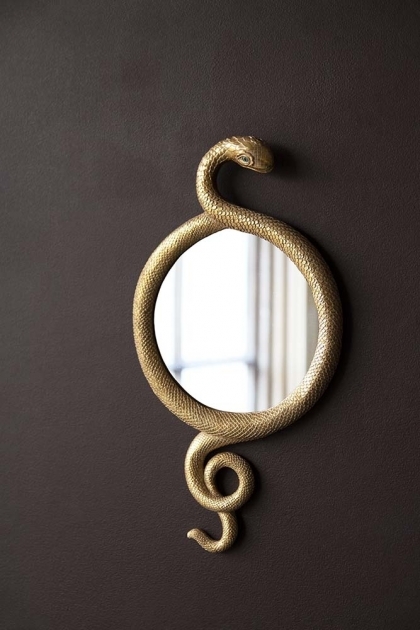 It may be small but the Gold Snake Wall Mirror promises to add instant wow factor to the walls of your home. Finished in glamorous antique gold with incredible attention to detail, the metallic scales catch the light as the snake curls around the circular mirror. Adding an instant dose of drama to any interior, embrace your wild side with the Gold Snake Wall Mirror – you won’t regret it! Delivered with fittings for easy attachment to the walls of your home, the Gold Snake Wall Mirror is designed to make a statement. Small enough to suit a range of spaces or slot seamlessly into an insta-worthy picture wall, the Gold Snake Mirror can be hung anywhere from the downstairs loo to the hallway for those last-minute lipstick checks as you dash out the door. Wherever you choose to display your Gold Snake Mirror, show-stopping style is guaranteed.